January is the time of year when we all resolve to do better. To be better people. To work harder, be fitter, and achieve more. Sadly, by February, most of us have already given up and gone back to our old ways. But it doesn’t have to be like that. You can keep those resolutions. The key is to acquire and use tools that will motivate you to get there. With that in mind, here are 10 apps to help you fulfill your New Year’s resolutions. Timing tracks how much time you spend using different apps on your Mac. It then categorizes the time spent according to what app you were using and, if it’s a web browser, the site you were visiting. So, for example, time spent in Excel would be categorized as “work” while browsing Facebook wouldn’t. 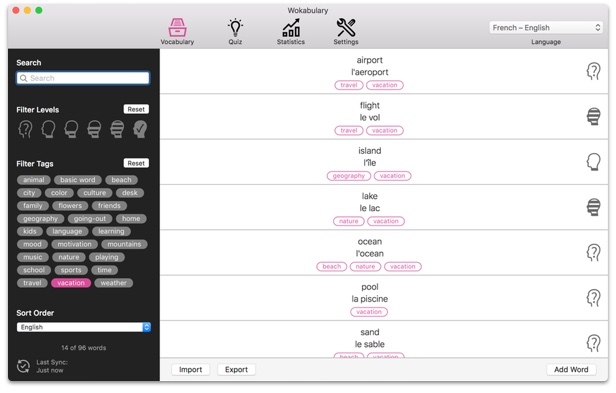 You can also create your own categories and drag and drop activities into them. Timing will display graphs showing how your time has been spent over the last week. You can even export raw data as a CSV file for invoicing. If your resolution is to manage your money better, these two apps are perfect. MoneyWiz allows you to create and manage budgets, track your bank account by integrating online banking, produce spending forecasts, and check on the status of loans. 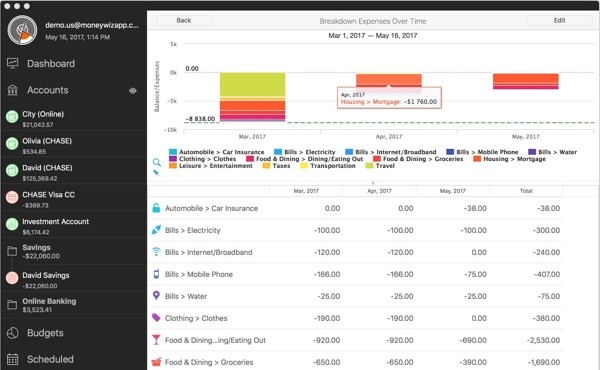 You can categorize spending into groups like groceries, transport, and clothing, and then produce graphs to easily see how much you’ve spent in each category. The app will also remind you when bills are due. Speaking of bills, Chronicle provides a full set of management tools for bills. It will remind you when they’re due, track payments, and allow you to see your payment history. 2Do is a task list management tool that, unlike some other tools that push you into GTD method, allows you to work the way you want to. You can create lists, put them in categories, add notes and tags to tasks, and set reminders. Tasks can have sub-tasks associated with them and can be allocated to projects. When it comes to viewing tasks and lists, you can do that by category or project, or using Focus lists that highlight upcoming, starred, or scheduled tasks. 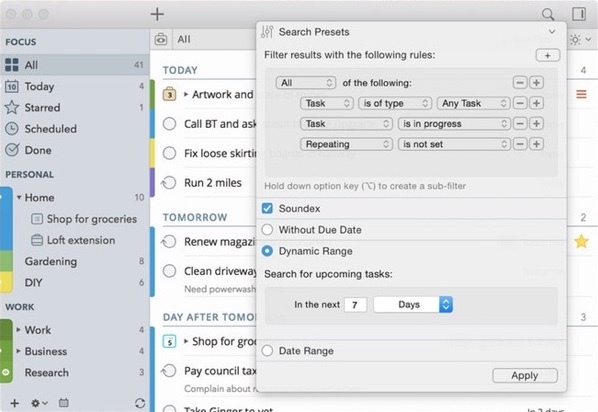 Even better, Smart Lists allow you to filter tasks according to criteria you set and customize task views. Smart Lists can in turn be grouped in List Groups. If you like to use upcoming deadlines or treats as motivation for getting work done, Waiting List is the app for you. It displays a countdown timer for each upcoming event on screen so you can see how long is left until the big day, whether that day is a deadline or the date of your flight to a dream holiday. It sends notifications as events approach and allows you to edit how events look. To share more on Instagram or keep in touch with friends and family, Flume can really help. 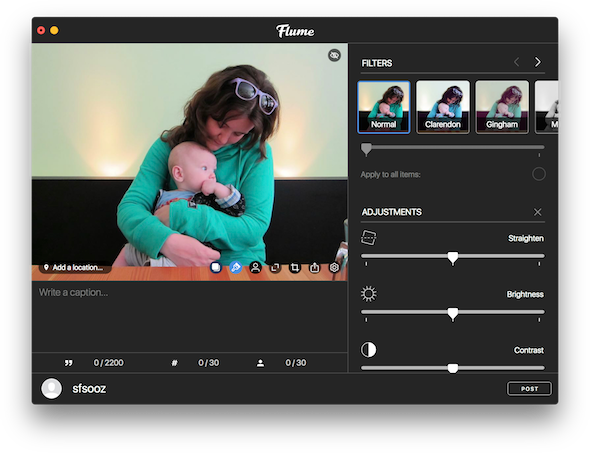 The Instagram mobile app is great when you’re posting from a smartphone, but if you want to post photos from your Mac, you really need Flume. You can switch between multiple accounts, view friends’ photos at full-screen resolution, tag your own photos and like others’, as well as message friends. Most of us get distracted during the working day. Whether it’s Facebook, Twitter, or the previous evening’s sports results, there’s always something to drag us away from what we’re supposed to be doing. Focus will help you keep your resolution to allow fewer distractions. It blocks websites, such as social media or any other you specify. It can also block apps — so you can prevent yourself playing games to avoid work. Focus can operate on a schedule or you can set it to run for a specific amount of time so you can get on with work. To make 2018 the year when you finally start “the thing,” you’d need iThoughtsX for figuring out exactly what “the thing” should be. Whether it’s a new side project or something that’s going to be a full-time business, iThoughtsX’s mind mapping tools will allow you to generate ideas and plot them on screen. 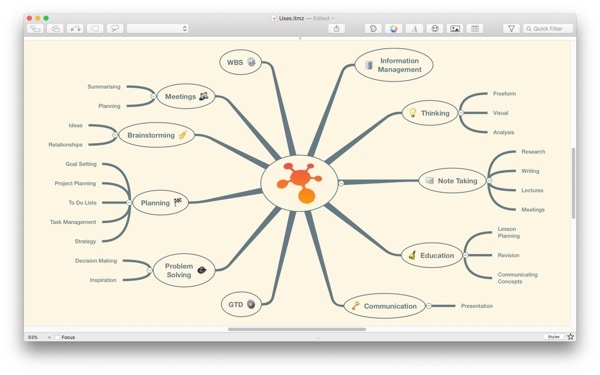 It’s compatible with lots of different formats like MindManager and iMindmap and can share files using OPML and CSV. You can also sync iThoughtsX projects using iCloud and Dropbox and switch from Mac to iPad and back again. Keeping a journal is something most of us resolve to do at some point. But few of us get round to it. Journey makes it so simple that there’s no excuse. 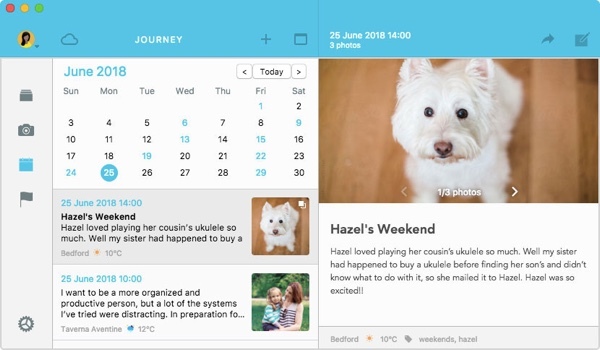 Journey’s beautiful user interface is designed to make you want to add entries regularly. Those entries can include images, and the text can be written in Markdown format. Entries are stored on Google Drive, meaning they’ll stay safe even without the app and can be synced across devices. Resolved to learn a new language in 2018? Wokabulary’s flash cards will help. You can build your own library of cards and focus on topics that interest you most. Customizable quizzes will help track your progress and allow you to focus on areas and words you most need to brush up. Why not get more done in less time this year? Try Paste. This clipboard manager holds multiple items and allows you to categorize them as, for example, words, links, and images. Shortcuts allow you to access clippings quickly, and the search features make it easy to find items. 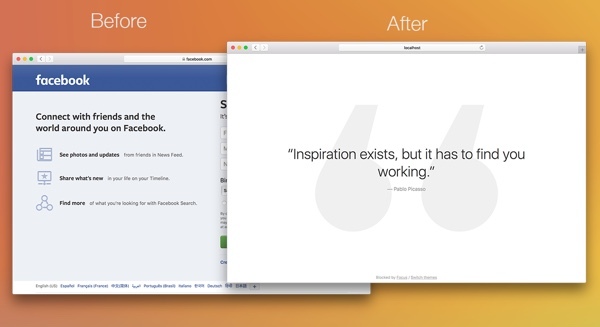 Paste syncs using iCloud, allowing you to use it across multiple devices. So here are 10 ideas. But don’t overwhelm yourself picking up everything at once. Think of one or two changes that would result in maximum impact and choose the app equipment accordingly. And let us know what it is.